With big hugs and heartfelt thank yous we parted ways with friends Erika and Xavier. We were even more excited than usual to hit the road because today we would be venturing into country #4: Italy! 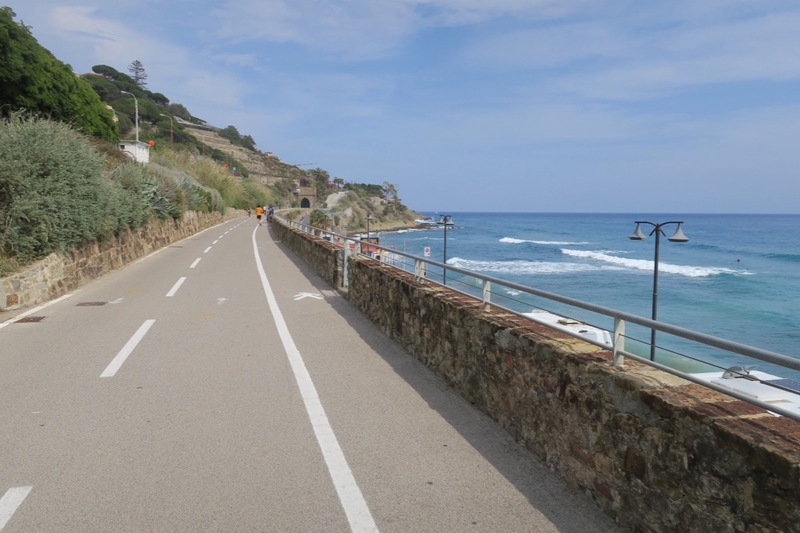 Deciding not to cycle through the madness of Monaco, we chose to take a highway that rose above the affluent micro-country. As such, our morning was filled with climbing. We focused on each sign post and bend in the road to act as mini goals to usher us to the top. 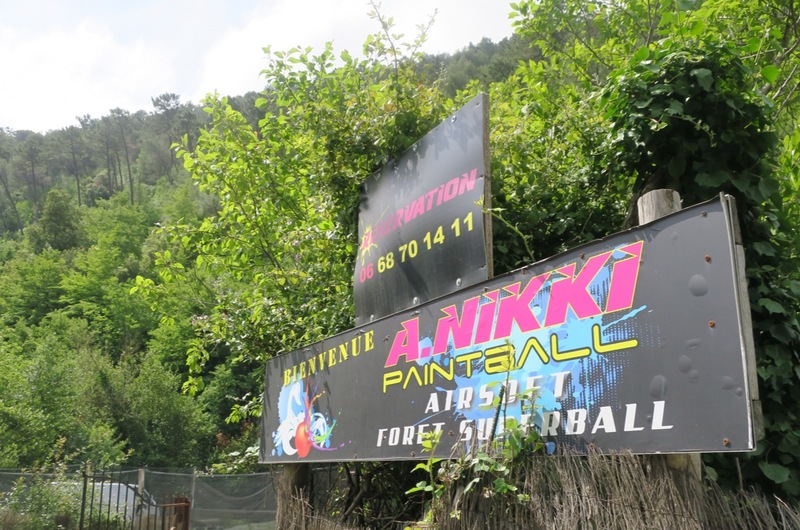 I was surprised at one point to see a sign advertising paintball. 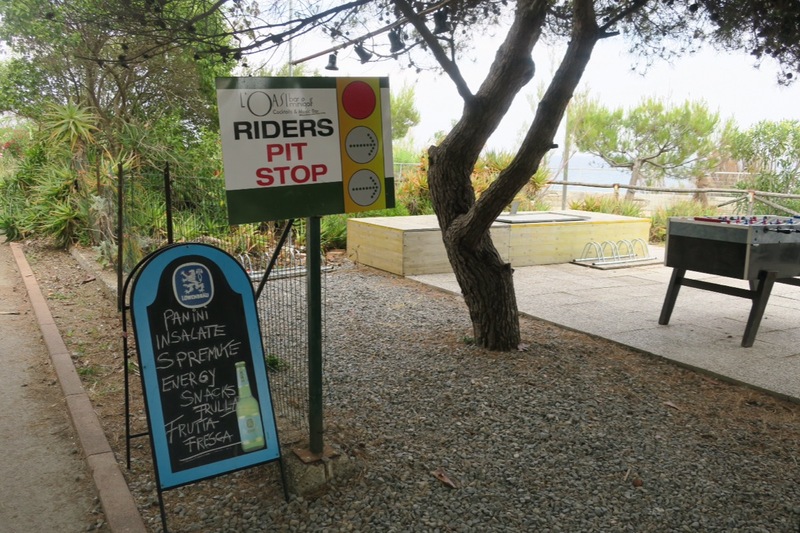 If only we had seen this at the end of one of our cycling days, maybe we could have joined in for a couple games. 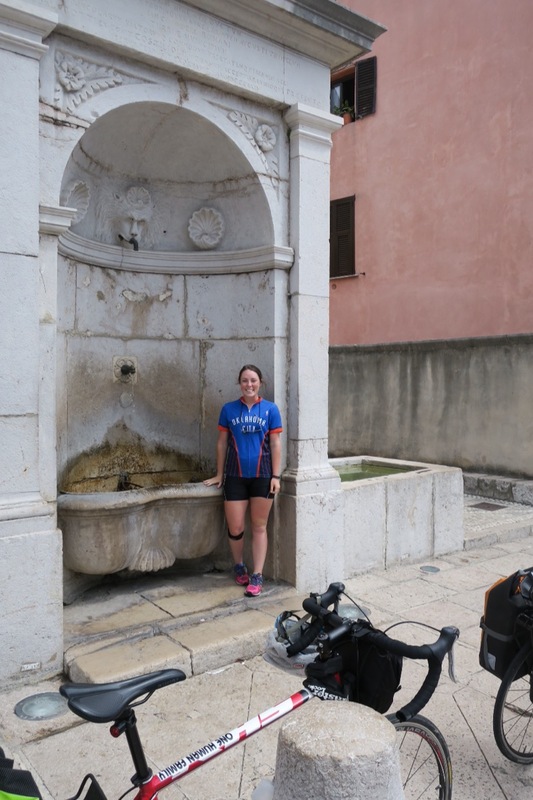 When we finally reached the apex of our route we found ourselves in the center of the town of La Turbie at what felt like the local cyclist watering hole. We chatted with several cyclists stopping at the fountain to refill their water bottles and got great route advice for the day. We could basically coast from La Turbie until the town right before our border crossing. Italy here we come! 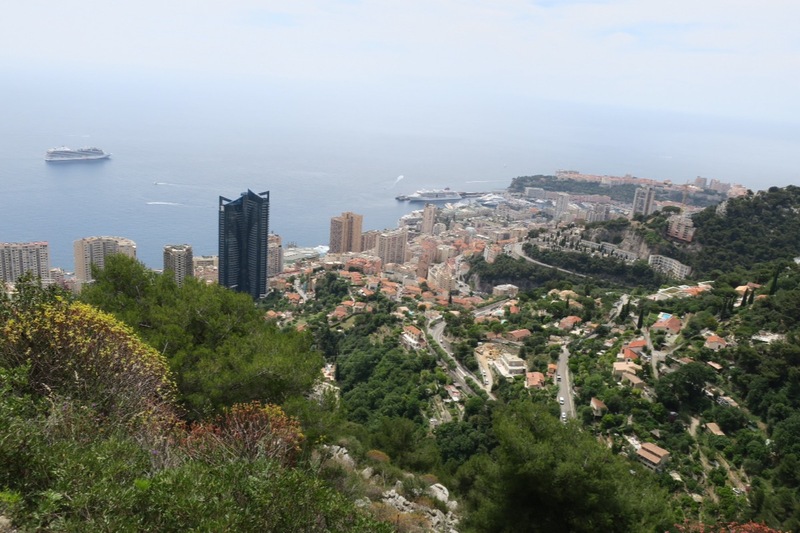 We began our descent and soon spotted Monaco beneath us. We peered over the stone barricade and spent a few minutes picking out the places we had wandered the previous day, including the rooftop bar where we had finished our evening. 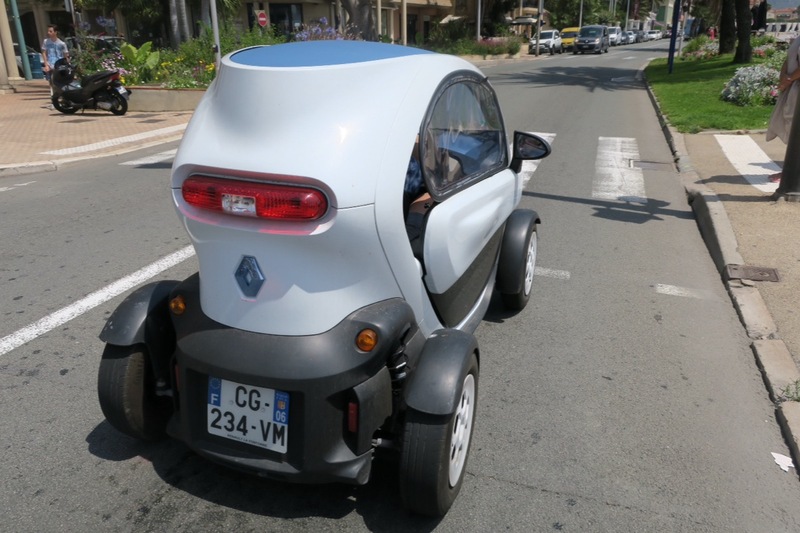 We may not have cycled through Monaco, but we still consider it country #3 of our trip. Past Monaco and after enjoying a long descent we arrived in Mentone, the last French city before crossing the border into Italy. I had to snap a picture of this single passenger car. I wonder what these are like to drive? These single passenger vehicles crack me up. They are shorter than me on my bike. We neared the Italian border curious if it would be as anticlimatic as our Spain to France border crossing. This border station was attended, by Italian military personnel in fatigues carrying heavy artillery. We cycled by them slowly making eye contact, searching for a nod or gesture that would mean we needed to show them some form of identification. They remained statuesque and we cycled through. I guess we won’t get any excitement from border crossings until we venture out of the EU. Buongiorno Italy! Happy to be in country #4 of the trip! At the second tunnel, however, we reached an impasse. 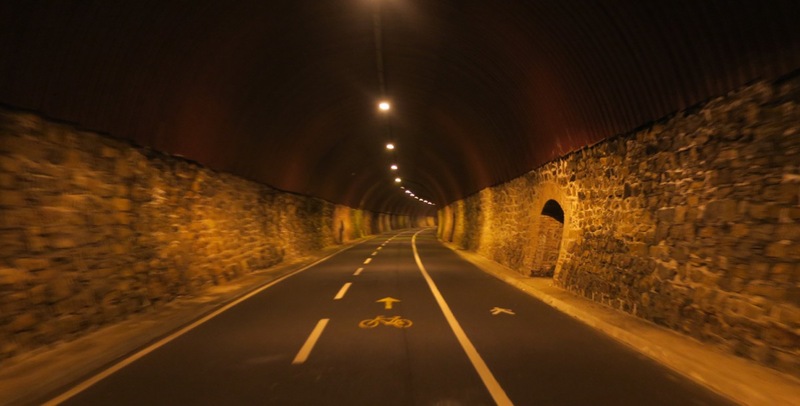 This tunnel had very clearly been barricaded off, and aside from reentering France, there was no way out. We did a lap of the road to make sure we hadn’t missed a side path. When we returned a motorcyclist had stopped at the barricade. When we asked his advice, he said “just go through it.” And brought out his pocket knife to cute the orange mesh so he could fit his motorcycle through. Well ok then! Sometimes in foreign countries it all boils down to monkey see monkey do. 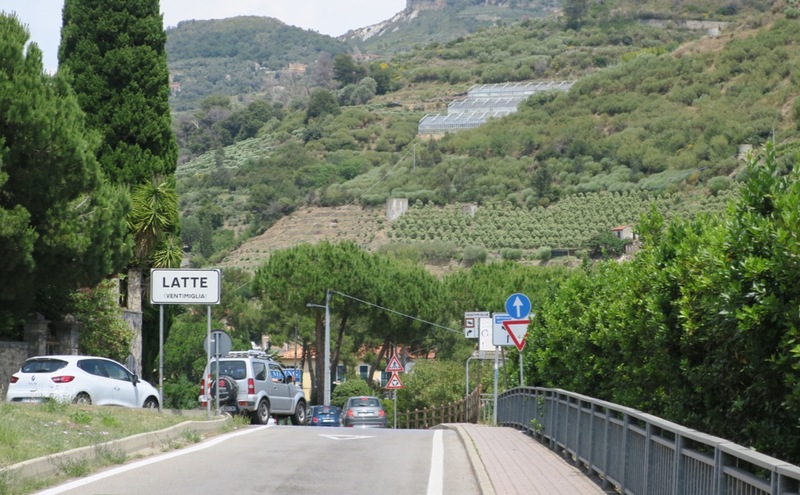 One of the first towns in Italy we came across was aptly named “Latte”. We stopped for lunch and of course I had to order a caffe latte. FUN FACT: latte in Italian actually means milk, so if you order a latte in Italy don’t be surprised if you end up with a glass of milk instead of your Starbucks tall sugar free vanilla latte. 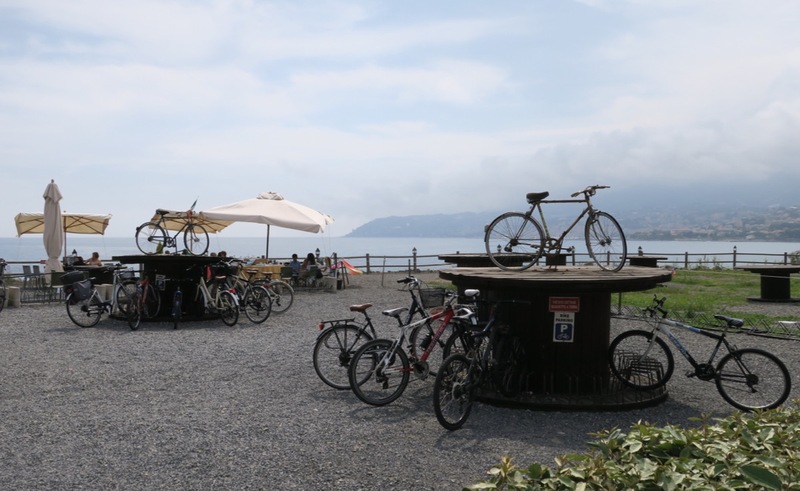 We cycled on the coastal highway for some time before we noticed continuous signs for a bike path closer to the waters edge. We have mixed feelings about bike paths (sometimes they are a bumpy and congested waste of time) so we delayed giving it a shot. When we finally did hop on we were astounded. It was a wide, perfectly maintained cycling path that stretched for miles. 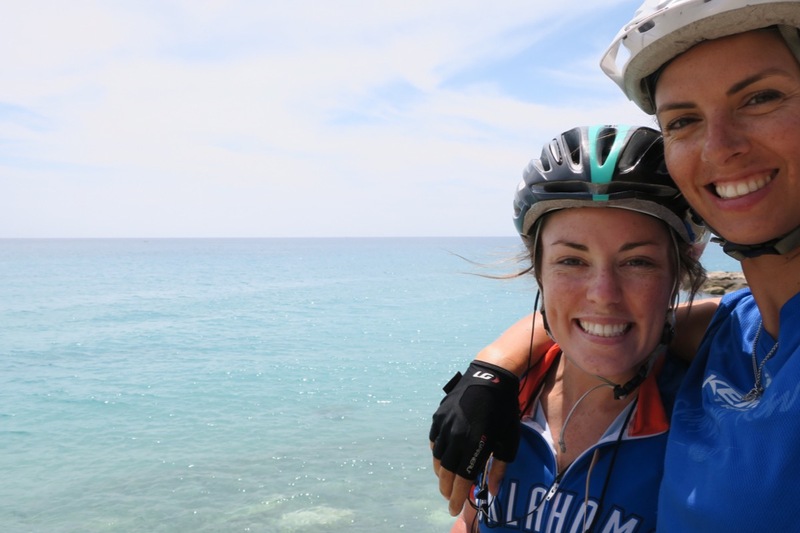 We rode the bike path until it ended and we were not far from our lodging when we saw another touring cyclist coming the opposite direction. Francisco started from his home city of Milan and was bound for Spain. We chatted about our trips for a few moments before bidding him fairwell and good luck. I imagine it’s not easy tackling such a trip on one’s own. Awesome arrival to Italy — you two are doing so well! 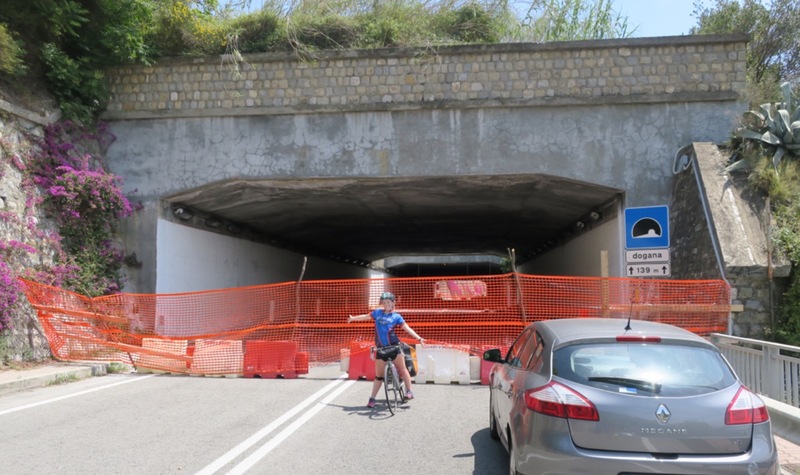 I’m so delighted to see the bike paths and tunnels laid out for you and the fellow touring cyclists along the way. 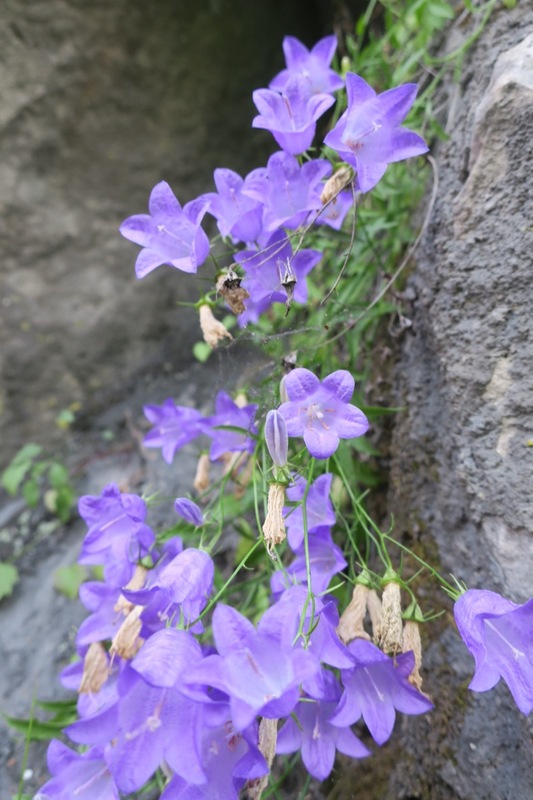 Keep up the lovely writing and photography! !